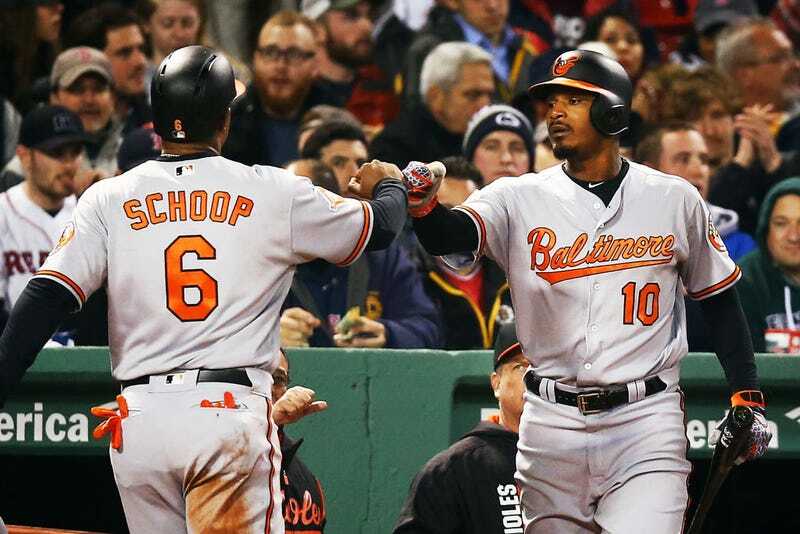 Baltimore Orioles center fielder Adam Jones was the recipient of racial epithets Monday night at Boston’s Fenway Park. Jones said it was the worst case of abuse he’s had to deal with in his career to date. “A disrespectful fan threw a bag of peanuts at me,” Jones said, according to USA Today. “I was called the n-word a handful of times tonight. Thanks. Pretty awesome. “It’s different,” he said. “Very unfortunate. I heard there was 59 or 60 ejections tonight in the ballpark. It is what it is, right. I just go out and play baseball. It’s unfortunate that people need to resort to those type of epithets to degrade another human being. I’m trying to make a living for myself and for my family. The fan who threw the peanuts at Jones was eventually ejected from the game, and officials are investigating others who were ejected. But Jones wants even more severe punishment; he wants to hit them in their pockets because an ejection is just a slap on the wrist. It’s 2017, and the fact that Jones is still going through things Jackie Robinson dealt with just proves we haven’t come that far as a country.